ibis Styles Invercargill is within easy walking distance of the Southland Museum & Art Gallery (also home to the Invercargill i-Site Information office), Reading Cinema, great cafes, shopping and the Invercargill Train Station. Just 5-minutes drive from Invercargill airport, other popular attractions include Bill Richardson Transport World, Southland scenic flights and the architectural treasure that is the Invercargill Water Tower. Generally we have had a great experience with the Accor hotels. Our first preference is the M Gallery chain, but when they’ve not been an option Ibis has still been good. Cheap and cheerful. I was a little disappointed when we arrived at the Ibis Styles Invercargill. After we checked in and made it to the room it had more of a converted backpackers feel than a hotel. Not the “cheerful” part if was hoping for. Invercargill was a halfway point between Dunedin and Queenstown, and our original plan was to stop here on the way. We decided to push on to Queenstown rather than stay here. The staff were friendly, but it had more of a backpackers feel, and wasn’t particularly relaxing. Thank you for sharing your most constructive feedback regarding your recent visit . We are extremely concerned to read the areas of opportunity that your review has brought to our attention and sincerely apologize for your experience and not meeting your expectations. Our relationship with our guests is of paramount importance to us.Please allow me to assure you that I will investigate this occurrence and take up this feedback seriously with my entire team in regards to the lapse in service and the adequate training needs will be reiterated to the team. I am extremely disappointed at letting you and ourselves down. The standard of service experienced by you is definitely not the kind that we aspire to achieve. Unhappy with the parking charges. A customer staying in this hotel has to pay for parking, it is ridiculous. After parking in the basement you have to criss cross from a maize and scan key at multiple doors to reach your room. I met at least three other customers lost on the way. Elderly will have a nightmare. Thank you for sharing your feedback regarding your recent visit. The concern which you raised have been noted and feedback will be shared with the management.We sincerely apologize for the inconvenience. Thank you and look forward to seeing you soon. Hotel needs to be upgraded. The weather was in the 30 degrees c. No AIR CONDITIONING. No bar or restaurant. Friendly staff. Expensive for what it is. Out of date decor. Cramped rooms. Mini bar offers little selection. Dear Ruth W, Thank you for your feedback, I am please to see that you were happy with your stay with us. First impressions were great central location.....room impression a bit dissappointed. Was marketed as a 2 bed apartment, but reality more hostel set up. It was clean and tidy and at $140 a night, the most competitive in Invercargill for our family of 4. Beds are built in to the wall, so you have to climb over the other person to get in and out, quite a tight space, but fine for a one night stay. Breakfast room opened 1 hour late (no explanation except, there hadbeen a problem? But breakfast was included in tariff and pretty standard for a continental breakfast. On colder days ring ahead and ask then to turn heating on, as room was very cold when we first arrived. Dear Guest, Thank you for your feedback, I am pleased to see that you were happy with our central location, I do apologise regarding the breakfast room no being open on time, this was a staffing issue but has now been resolved. Decent hotel with a few flaws. Hotel was reasonably priced in a convenient location close to shops and cafes as well as main road. Staff were helpful and answered our questions. However both the noise and the room layout left a lot to be desired. Noise traveled throughout the floor whenever other guests entered the area so we were woken up multiple times throughout the night be others talking in the corridor and opening doors. The layout of the room was also a bit odd as they had jammed the bed up against a cupboard meaning one of us had a face in the cupboard all night with no bedside table easily accessible. There were multiple other places the cupboard could've gone so it seemed odd to put it right next to the bed. The overall room was clean, however the bathroom needed a bit of attention as the shower head looked old and dirty and the grouting was starting to look poor. Overall a decent place to stay. Dear Guest, Thank you for your feedback, I am pleased to see that you enjoyed your stay with us and were happy with our central location, Yes the layout of some of the rooms were not thought out well when this building was made into accommodation, we are however in the process of upgrading our property so moving the wardrobes is possibly something that we could look into. Most unexpected ,centre of town easy to walk to restaurants and attractions, great value for money, pleasant and obliging staff, all very good. the Motor cycle mania is right next door and the Hayes hardware shop is an easy walk for its special delights. Dear Guest, Thank you for your feedback, I am pleased to see that you enjoyed your stay with us, and were able to check out our local attractions. While the hotel is not flash, it has basic catering equipment including a microwave and a small fridge that's bigger than a minibar which makes it a great place to stay long term. The bathroom also had a fold down seat in the shower. I didn't have the breakfast so can't comment on it. It was quiet too. Minor faults with lights as the bedside lamp didn't work and had a wonky shade plus the bed light flickered. Dear Guest, Thank you for your feedback, I am pleased you were happy with our price and central location, we do have new lamps on order and are waiting for them to arrive, but I will have the housekeepers check the bulbs and make sure they are working as they go. We had 4 nights at the Ibis in Invercargill. 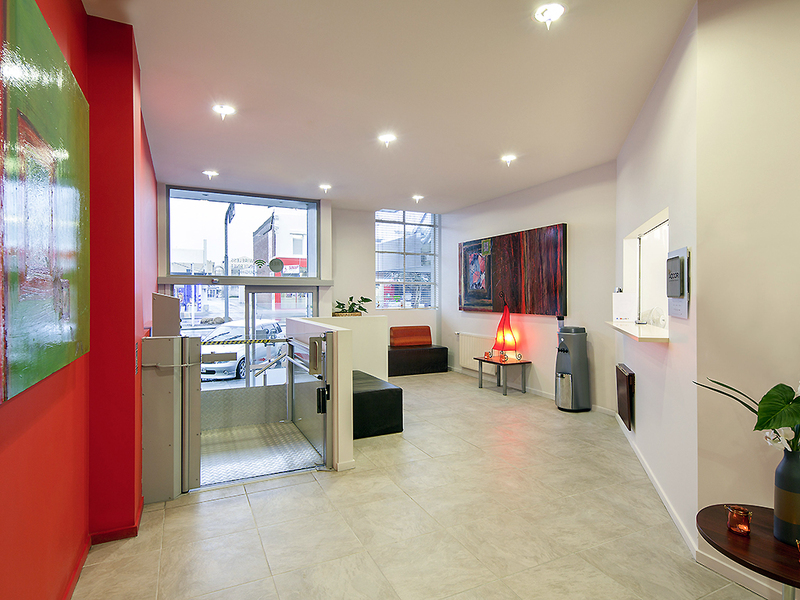 The reception and other staff were very friendly, efficient and helpful. We had a clean, comfortable well serviced and maintained queen bed room. There is parking under the hotel and the location is central for the town and good for visiting the attractions and scenic sites in the area. The continental breakfast is basic but adequate. A very welcome and restful stay with generous breakfasts! Our stay was a very welcome rest! The staff were helpful and the rooms clean, spacious and comfortable. The breakfast was good and generous. Our departure was marred by a failure of the front door mechanism as we were leaving to get our taxi. This meant we had to leave by the back door but the taxi driver was instructed by the receptionist to meet us there. Dear Guest, Thank you for your feedback, I am pleased that you enjoyed your stay with us, and were able to take advantage of our complimentary continental breakfast. I do apologise that you were not able to get out our front door, but am happy that the staff were able to let the taxi no where to pick you up from. Avoid this hotel in summer. There is no air conditioning and the rooms are like a furnace on a hot day. Otherwise the hotel is well located and offers a reasonably good breakfast. Staff are also very helpful. Dear Gerard W, Thank you for your feedback, Yes Invercargill has been extremely unusually hot this summer, it has been hard to get away from the heat no matter where you are, although we have no air con (as its not usually needed in Invercargill :)) I do hope our staff provided you with a decent fan to keep you as cool as possible. Comfortable, smart, modern rooms. The design is simple and fresh. The staff were friendly and helpful. The hotel's car park was full when we arrived, but we were able to park just outside on the street. Good location right in the centre of the city. A decent breakfast was included, although the breakfast room could do with some more attractive decor and furniture - it felt a bit like a school room. Overall a very comfortable and pleasant stay. Dear Guest, Thank you for your feedback, I am pleased that you enjoyed your stay with us, and were happy with our central location, and complimentary continental breakfast. All the hotel staff were lovely, the (double) beds are comfortable and the bathrooms were clean and had good water pressure, however the hotel is woeful. We had a three bedroom apartment fronting onto Tay St. The blinds didn't close properly and the window are only single glazing, so the bedrooms were constantly lit up and noisy (Invercargill boy racers every night!) making it near impossible to sleep. Off street parking was in addition to the $188 per night tariff at a cost of $10 per night. The garage we were allocated had a broken door and was manually locked at 11pm, not opening until 7am. We had to chase up new internet passwords everyday, as they expired every 24 hours on the dot. The weather was very warm, and with no aircon the rooms were very uncomfortable, both warm and humid. Despite a guest limit of 6 there was only enough seating for 3 people in the unit. There is a high step into both the toilet and shower room (waterproofing?) which proved very dangerous in the dark - stubbed toes and tripping. Expected a lot more for an Accor property and also for the price. Dear Guest, Thank you for your feedback, I am pleased that you were happy with our staff. Sorry that you were not completely satisfied with your stay with us, we are in the process of replacing our blinds with curtains, the garage door is now fixed, November was a very unusually warm month for us this year. This is a wonderful property, although the pictures on the website when booking did not match. It was good for our needs except the bedding layout. It was two fulls, but each room had a desk. It would have been much more useful to have one of the rooms with two twins and one with the full size bed/desk layout. However, the staff was lovely and the breakfast was outstanding. We did greatly enjoy the stay. Dear Tracy G, Thank you for your feedback, I am pleased to hear that you enjoyed your stay with us, and were happy with our complimentary continental breakfast and friendly staff. Simple and value for money. We stayed at the Ibis Styles Invercargill for a two night stay. We had a room on the 4th floor, which had a king size bed and good views over the city. The room was okay, very clean and tidy, with no signs of wear and tear. However, the bathroom was very small (especially the shower) and we were unable to open some of the draws in the kitchen without opening the main door to the corridor... The included continental breakfast was appreciated. Overall, I would stay again if visiting Invercargill - overall value for money. Dear OuterLegsRace, Thank you for your feedback, I am pleased to hear that you enjoyed your stay with us, and we look forward to welcoming you back with us in the future. As an Accor member this was the only option in Invercargill. At the time there was a points promo on as well. We had a 3 bedroom apartment which was ideal for us. The breakfast was handy and all we needed to start the day. I liked the location as you could walk to bars and eating places. The only issue I had was my sisters arrived before me.. They were advised that parking was $10.00 a day so decided to park on the meters for which they picked up a fine. When I arrived I was informed that as a silver member parking was include. The room was booked in my name through the Accor website so my status was shown. Only a minor issue but overall a good spot to stay and I would stay there again. Dear Kiwignome, Thank you for your feedback, I am pleased to hear that you enjoyed your stay with us, and our central location, I am sorry that your Sisters were not informed regarding the parking for Accor members and do hope that you were given a park on your arrival. We look forward to welcoming you back here in the future. The location is right in the part of the city close to restaurants, shopping and routes to other places. The room I had was on the second floor and had full sun streaming in during the afternoon. There is a fully appointed communal kitchen. Breakfast is a very basic continental option but more than adequate to start the day. Free secure parking was very welcome. Thank you so much for your valuable feedback and support. Safe Travels, Regards. I stay at a lot of Accor Hotels as I'm a member, the Ibis Styles Invercargill would have to be the worst Hotel that I have stayed in!! I had a three bedroom apartment that was dirty and during my stay (2 nights) the bathroom wasn't cleaned. If I was the manager at Accor I would seriously consider removing this Hotel from the website. I will not stay here again, I would rather forgo earning points for my stay and stay somewhere else.